1) The sunshine. You can always count on the sun to be shining outside the window to perk up your mood. 2) The “normal” customer service. Having someone pack your grocery, someone fill up your petrol (whilst another person cleans your front windshield) and having someone even home deliver your loaf of bread as you order it from your local grocery. These are just some of the “normal” customer services that I have grown very much used to! 3) Halal food everywhere. No more checking the back of the packet to see if its “Suitable for Vegetarians” or has the “Halal” label on it! Hooray! 4) The Azaan. A wonderful reminder that calls out five times a day for all Muslims to pray. Its melodious tune is calming and so peaceful. 5) The bigger rooms. I absolutely love the size of all the rooms here that actually allow you to walk and twirl freely without banging yourself into a cupboard or trip into a fireplace. 6) Not having to wear jumpers or jackets! I am now actually able to show off my lovely outfit that I spent an absolute fortune on, without covering it up with a drab overcoat! Yipee! Money well spent! 7) The low priced fuel. There is no need to blink an eyelid when you go to the petrol station and ask to fill up your fuel tank to the full capacity. You can proceed to then rev off into the desert for a loooong drive. 8) The beach! I wasn’t living on the coast in UK, and so the beach is such a welcome view! Okay, even though the sand is hot as lava during the summers, the view and sounds of ebbing waves can still be appreciated. 9) Shawarma. These genius chicken wraps are delicious and can be easily devoured with one hand in a matter of minutes. If Dubai was to be described as a form of food, Shawarma would be it! 10) The Dubai Skyline. The shimmering skyline is unique and a beautiful sight to behold. I don’t think I can choose whether I like it better during the day or during night time, when it’s all lit up! What things are you grateful for in the country you reside in? Are there any that I have missed out? Feel free to share your thoughts in the comments section below! 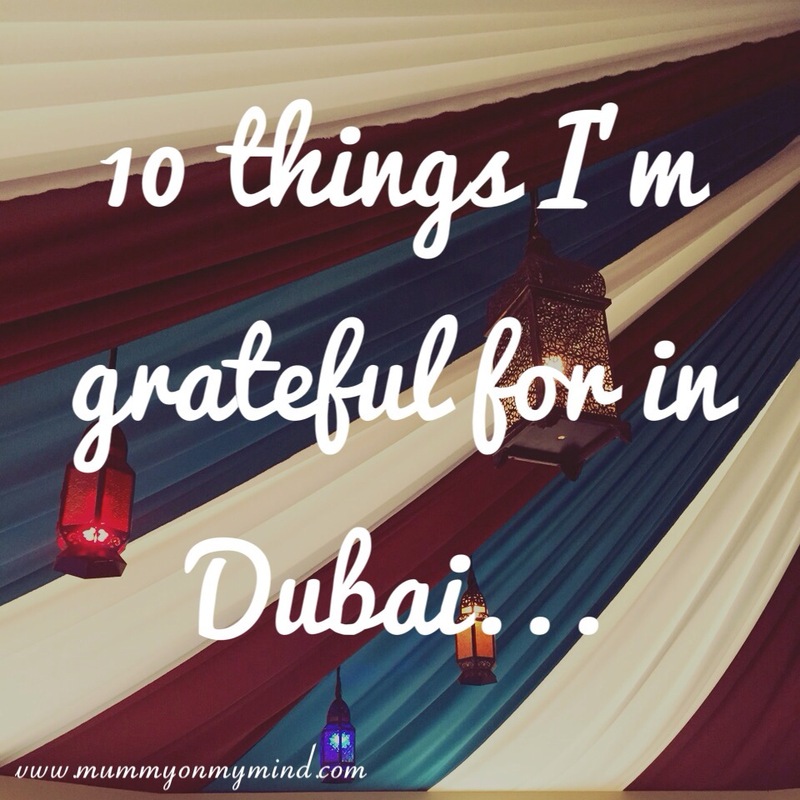 These are all the things I love coming to Dubai for. Number 2 gets me man. In the UK the number of self service tills are on the increase so not only do you have to bag your own stuff you have to scan hour own stuff too. And the “do you need help packing?” question they recite from a script at the till is not genuine. Because once I hurt my hand and I asked for help but I got daggers! I miss the perks of Dubai. Oh gosh the dreaded self service tills! I always needed assistance to operate those! I am definitely very grateful to be having so much help packing here in Dubai! Dubai definitely has it’s perks! Customer service is pretty amazing in most places. Thanks for reading! ? I wish i was lucky enough to live in Dubai ive just got drenched walking to the shop in my lunch hour in ‘sunny ‘Bolton ? Haha funnily enough, I do miss the rain!! I haven’t seen a drop of it in months!! Thanks for reading! ? I agree with what you wrote above. Not because I am from Dubai, but because I have been to London and other similar big cities and I have observed those sort of mentioned services in Dubai and else where. I must say, there is no place like here, in my opinion. May Allah continue blessing us with this city. Ameen. Having lived here only two years, I already share your sentiments on this! Alhumdulillah and Ameen! Oh I just forgot to mention, the fuel price is going to jump high (to meet the Global average fuel price) soon in Dubai and other Emirates. So this will be different soon here. Yes, I heard about this last week. Not looking forward to that for sure! ?